Sea shells, Sky, Ocean, Beach all remind me of the summer time. I was looking for the perfect sky blue nail polish and found it. The brand is Pure Ice- Bikini and I purchased at Walmart for only $2, it’s probably a dupe for Essie Bikini So Teeny but 1/4 the price. Here is my tutorial on how I created this manicure with a Band-Aid, Nail Pearls, Nail Dotting Tool, Finger Paints Base Coat, Finger Paints Top Coat, and Magic Pick. First paint your nails with Finger Paints Base Coat, clear base coat, and once completely dried place one side of the Band-Aid on the end, I used all fours sides of the band aid for each finger nail. 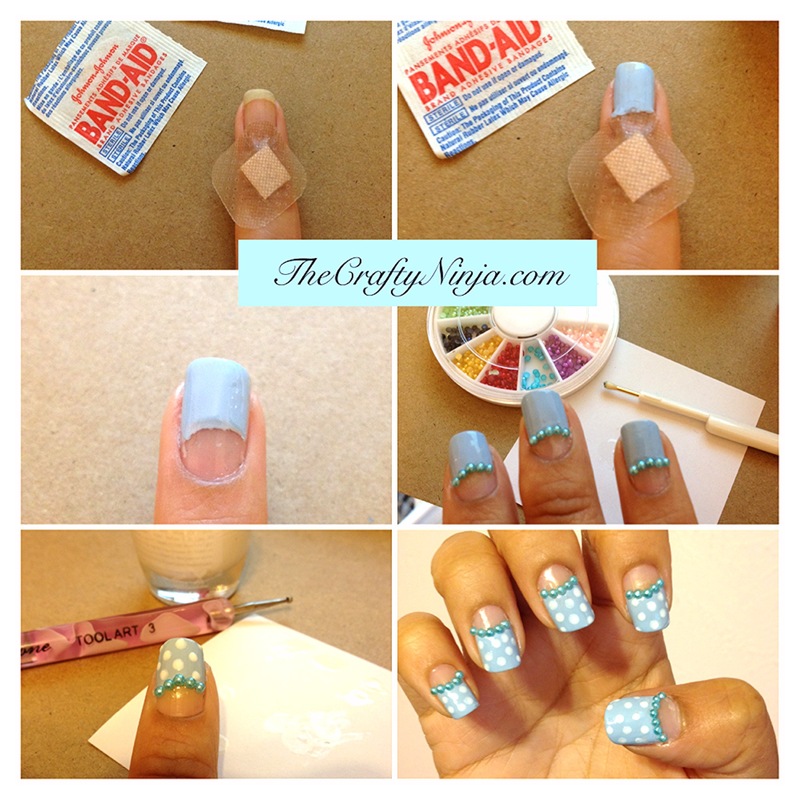 Next paint the nail polish on top and carefully peel off the band aid while the nail polish is still wet. I used a Magic Pick to pick up the Nail Pearls, tutorial here. Using the Nail Dotting Tool and white nail polish I added polka dots. Last seal it with a top coat, I used Finger Paints Top Coat. 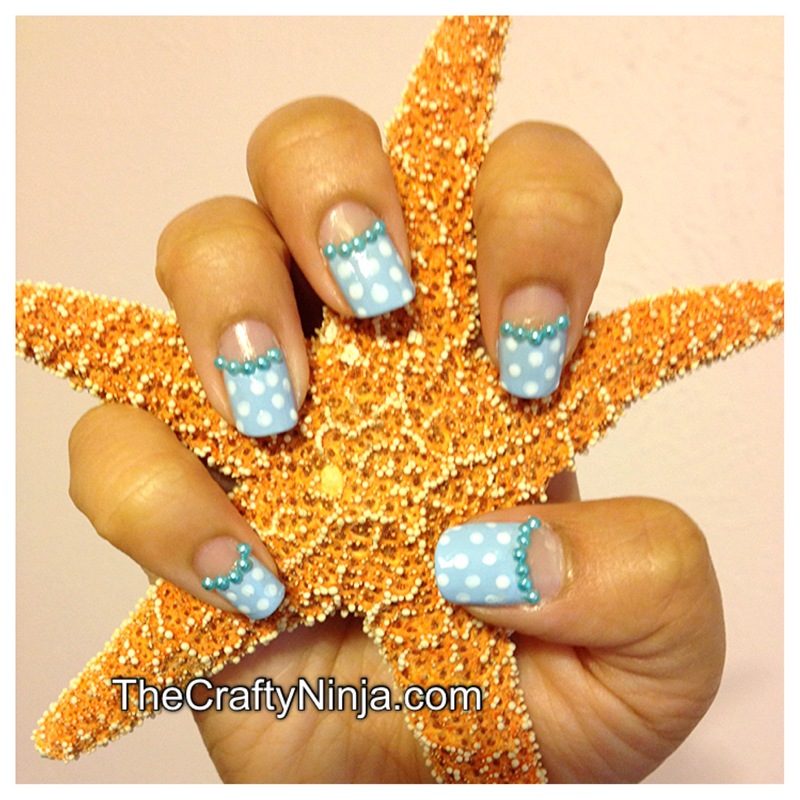 I also love this mani with just the pastel light blue polish and pearls. I love accessorizing with Knuckle Rings: Peace Toe Ring, Simple Band in Silver, Cross Ring, I like this one here. 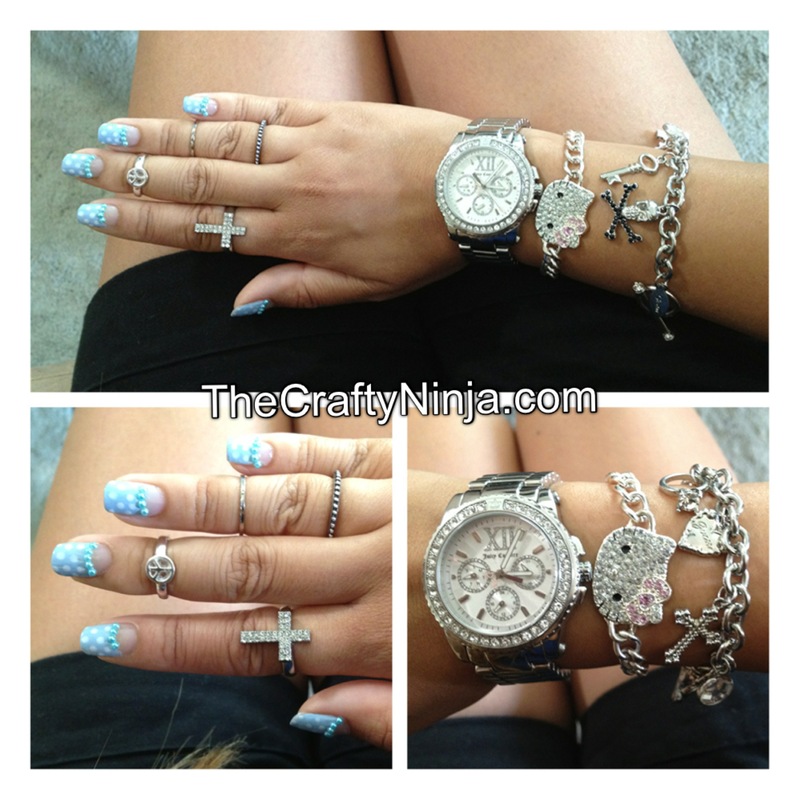 Wrist Party time with Juicy Couture Pedigree Watch in Silver or Gold, Hello Kitty Bracelet, and Guess Charm Bracelet.